A new report by GCU suggests that a lack of support of Arizona’s new and veteran teachers is contributing to an alarming shortage of high-quality educators in the state. A new policy paper by Grand Canyon University cautions that public education in Arizona will continue on a downward spiral of low student achievement and mass teacher exodus unless state leaders act now to better train, pay and promote all educators – from student teachers entering their first classrooms to those with decades of experience. “Addressing a Shortage of High Quality Teachers: An Escalating Dilemma for Arizona Schools” calls on the Legislature to develop a new formula for school funding and to dedicate funds for increased pay and sustained professional development for teachers. The paper also suggests that school districts do a better job of building a support system for new teachers by matching them with veteran educators. The report was published in May and introduced at the Arizona School Administrators’ summer conference in Tucson. Dr. Kimberly LaPrade, dean of the GCU College of Education, and Dr. Gerald Tirozzi, a national leader in education reform and the paper’s author, discussed it during a session moderated by Dr. Beverly Hurley, GCU’s director for academic partnerships. “There is no silver bullet. As a community, we cannot address just one of the recommendations if we want to make lasting change,” LaPrade says of the paper. LaPrade notes that GCU already is doing its part where the paper’s recommendations are concerned. For example, the College of Education has been supporting first-year teachers for nearly 30 years through the COE Promise, in which graduates of the University’s teacher-preparation programs who have been recommended for certification at the elementary or secondary level may receive help at no cost to them or their school district. “Assistance can range from the student taking a refresher course in the area of difficulty to the student receiving mentoring by faculty who will coach the new teacher in such areas as curriculum planning and design, classroom management, content presentation and individualized instruction,” LaPrade says. 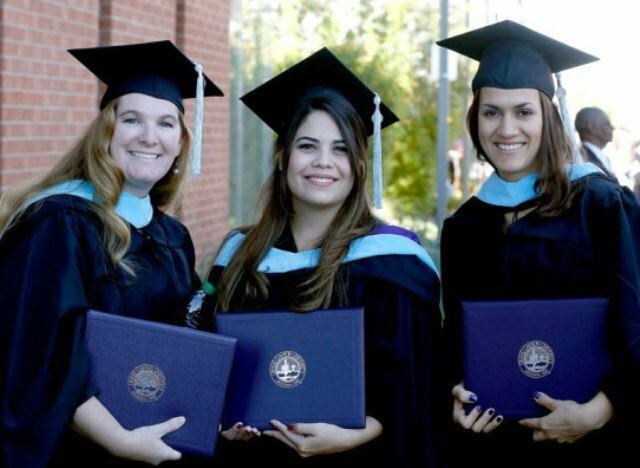 GCU also aligns its teacher-education courses with national standards and has incorporated into them the Arizona College and Career Ready Standards, formerly known as the Common Core. Students not only learn concepts and theories in the classroom but also grapple with them in real-world field experiences, LaPrade says. 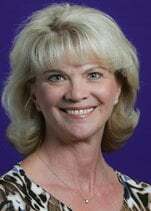 GCU also has demonstrated its commitment to attracting high-caliber people to the teaching profession, she says, noting that the grade-point averages of COE’s incoming traditional students have risen from 3.31 in 2011-12 to a preliminary GPA of 3.38 for 2014-15. “We train our teacher candidates to be highly effective educators who are committed to learning, leading and serving,” she says. The paper is being widely distributed to teachers, school administrators, policymakers, parents and the general public and will be introduced at conferences and meetings throughout the summer and fall leading up to the 2015 legislative session. 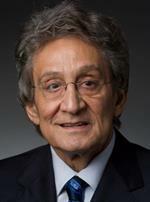 It is the third such paper to be commissioned by GCU and written by Tirozzi, an assistant secretary of elementary and secondary education at the U.S. Department of Education during the Clinton administration and a former Connecticut commissioner of education. Phyllis Carbonaro and Michael Winters, students in GCU’s College of Doctoral Studies, are co-authors. The report highlights the need to promote excellence in teacher recruitment and retention as opposed to filling classrooms with “warm bodies” ill-prepared to teach. Tirozzi cites a wide body of research that suggests the most important impact on student learning is the teacher. They are fleeing their classrooms because of low salaries, loss of benefits, lack of financial support in the classrooms, ill-advised evaluations of their performances and general disillusionment with their profession and working conditions, Tirozzi says. The aging of quality educators also is a problem: An estimated 25,500 staff members at Arizona public schools will be eligible for retirement in 2018. To make up for the shortage, many schools are hiring full-time substitutes who are trained in subjects other than teaching children. The paper points to the teacher as the most important component of quality student learning, and it quotes renowned educator Linda Darling-Hammond as saying children deserve the best. “Studies at the state, district and individual level have found that teachers’ academic background, preparation for teaching and certification status, as well as experience, significantly affect their students’ achievement,” according to Darling-Hammond, a professor and faculty director of the Stanford Center for Opportunity Policy in Education at the Stanford Graduate School of Education. A lack of commitment by the state and its legislature to address the needs of teachers and schools has resulted in low teacher pay – the average starting salary in 2012 was $31,700 – and underfunding of education. According to 2012 data from the National Education Association, Arizona annually spends $6,680 per student, well below the 2012 national average and ranking the state at 46th. Arizona relies heavily on recruiting alternatively certified teachers into classrooms, the GCU paper notes, and some policymakers want to expand the ability of anyone with a university degree to teach. Increase teacher salaries by creating a dedicated fund that gives school districts the money to raise teacher salaries over three years and achieve the national average for beginning and experienced teachers. Increase per-pupil expenditures by convening a school finance commission to develop a new funding formula, with an emphasis on ensuring that the poorest school districts get their due. Provide additional support for first-year teachers by authorizing the Arizona Department of Education to work closely with districts to pair supervising teachers with student teachers and mentor teachers with first-year teachers and to train and certify master teachers. Place a greater value on retaining experienced teachers by reinstituting career ladder opportunities, creating a dedicated fund to implement sustained professional development for teachers and supporting the National Board for Professional Teaching Standards. The report also suggests that a high-level state commission be empowered to discuss and address the problem of Arizona’s teacher shortage, and it calls for an Arizona Town Hall to focus the community on problems in recruiting and retaining a teaching workforce for the state. This paper is late in coming, but better late than never. As a teacher who spent 11 years in an Arizona public school district I have never in my life been subjected to the ridicule of the local politicians as here in Arizona. Teachers are treated like the hired-help, and many people do not hesitate to express that sentiment. What is ironic is that School District Superintendents and their staffs in Arizona are among the highest paid in the country while the teachers here are among the lowest-paid anywhere. Anything wrong with this picture? Will the paper mentioned address this fact as well? Teachers prepare our nation’s future leaders. State and local government must ensure teachers are provided with the correct funding and tools, in order to ensure our children are ready for future challenges.